Continuous positive airway pressure (CPAP) is a medical device for the treatment of sleep apnea and comprises of a small box connected to many tubes through which air flows. The tubes in turn are connected to a mask that is worn on the face. There are straps provided around the mask that fit it to the face over the mouth or nose and is used during sleep. 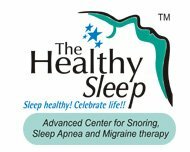 Sleep apnea causes interruption of natural breathing during sleep due to obstruction. 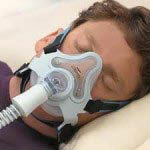 The CPAP makes use compressed air to keep the air passage open so breathing continues easily and normally. The correct pressure value of the CPAP machine is determined during a sleep study and depends on the degree of sleep apnea. The doctor observes the person’s sleep pattern and recommends as to what pressure value is likely to be most effective. However, many patients find the equipment onerous and the CPAP can actually cause wakefulness in some. CPAP machines in the initial days were loud and noisy, making it tough for patients to fall asleep. The loud noise of air being forced through the machine also troubles many users. Even though the CPAP and its parts have improved, many people express discomfort and are reluctant to use the equipment. Many patients not only experience disrupted sleep due of the noise, some may also suffer from eye and skin irritations, chronic nasal congestion and dry throat. Partners of patients who use the CPAP machines find the noise excessive and may prefer to sleep in a different bedroom. If a person with severe sleep apnea cannot use CPAP then it is very important that an ideal dental sleep appliance is designed so you have assistance for your breathing during sleep. A dental appliance is far more comfortable to use than CPAP machine and while it may not overcome severe sleep apnea it is more likely to reduce the apnea by around 70% or more. This is usually sufficient to feel active and refreshed on waking, less drowsy and not snoring. It is also sufficient to no longer be in the high risk category for blood pressure problems, heart disease and stroke.